Hi all, I'm looking to purchase a Kranzle K1152 TST as it has all the features I am looking for in a pressure washer. I notice it doesn't come with quick release as standard. Is there a kit for this? Also would these parts allow for an Autobrite snow foam lance to be connected via quick release? I bought a Kranzle 1050TST recently and found it to be a great machine but I felt it would be greatly improved with quick release sockets and a better gun and lance. 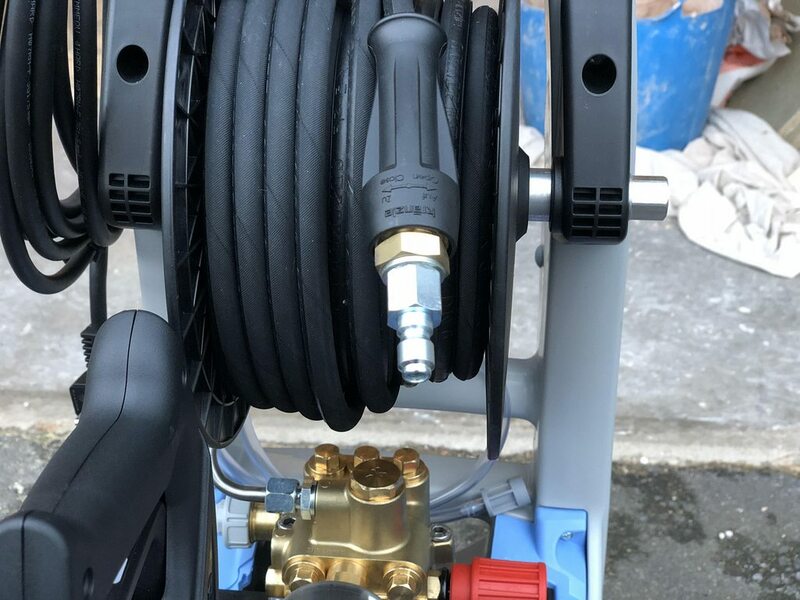 Having found it difficult to identify what I wanted locally I took the plunge and ordered a sprayer and wand solution with quick release disconnects from Matt at Obsessed Garage in the US. It wasn't cheap and I also had to wait a few weeks while he got more stock in but I have no regrets at all as it has made my use of the washer so much better. And using my foam lance with the smaller gun is way better too (BTW you need a 1/4" female plug to connect the foam lance). He also has a quick disconnect package for the original Kranzle gun but I strongly recommend the new gun and lance. My only regret is that I didn't buy the swivelling sprayer. Thanks for this, are you based in the UK? As I was thinking couldn't these parts be ordered here in the United Kingdom? I see Mosmatic seems to be the best swivel gun and lance. Are these the parts that everyone is getting? Last edited by R32 mad; 06-06-2018 at 01:55 PM. Last edited by Short1e; 06-06-2018 at 02:26 PM. Last edited by Derekh929; 06-06-2018 at 03:41 PM. Sorry about delay. I am based in Dublin, Ireland. OG certainly use Mosmatic guns and lances, although I ordered the cheaper MTM-SG28 gun from them. The real advantage from my perspective was receiving a complete package with all the interconnects taped and connected. If you can get all the parts separately and cheaper then that's great. Hope you get what you need. It certainly makes the washer much better to use. Did you order the MTM foam canon with that Mosmatic lance? and can a Autobrite snow foam lance fit? All Kranzle parts purchased from Elite. I've just paid Mosmatic for 2 x DKS Swivel connectors but they're on a 7-10 day back order right now. I had no idea that these swivels existed and thought that the kinked hose was something I had to put up with. Thanks for highlighting it.